It is terrifically sad that this offseason has seen another untimely passing of a hockey player, not overly talented but much beloved. In May, it was Derek Boogaard of the Rangers; this week, it was Rick Rypien, who was about to report to the Winnipeg Jets. 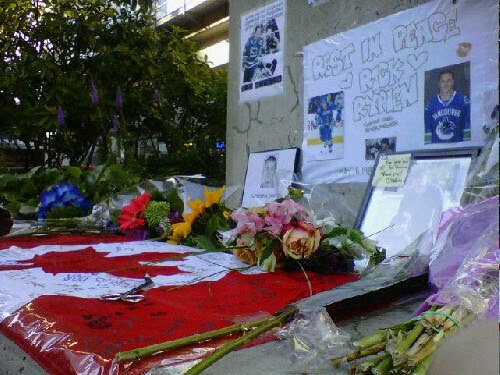 Instead of lacing up his skates, today, at the Rogers Centre, Vancouver fans arrived to pay tribute to Rypien, who was found dead on Monday. Renowned for being a rough and tumble player at 5'9", he also got a lot of attention for roughing up a fan during a game with the Minnesota Wild last October, which garnered him with a 6 game suspension. He had last played for the Canucks but was getting ready to join his new team, the Winnipeg Jets, within the day. 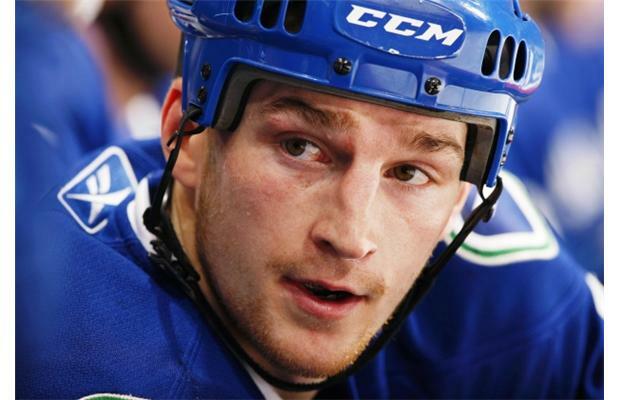 Like Derek Boogaard, his death came as a surprise and can be attributable to illness. 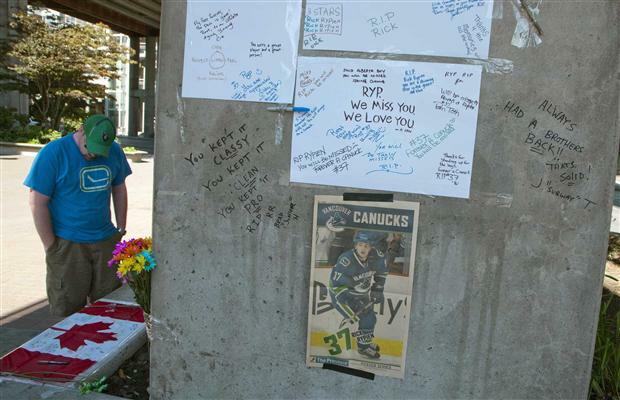 An enforcer on the ice like Derek, Rypien's death also brought out an outpouring of grief from teammates at all levels of his hockey career and from the passionate hockey fans of Vancouver. 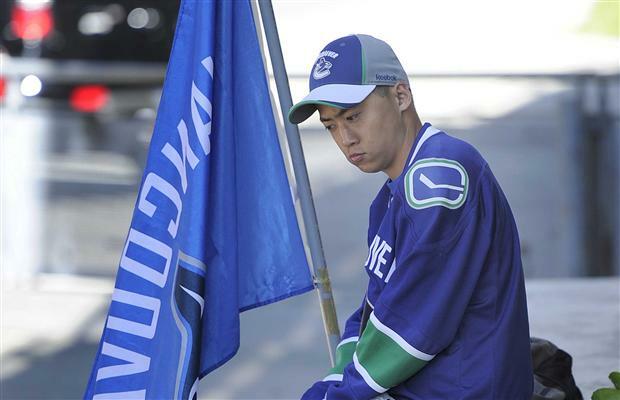 This article from the Vancouver Sun is touching and delves into some of the reasons he may have been depressed. 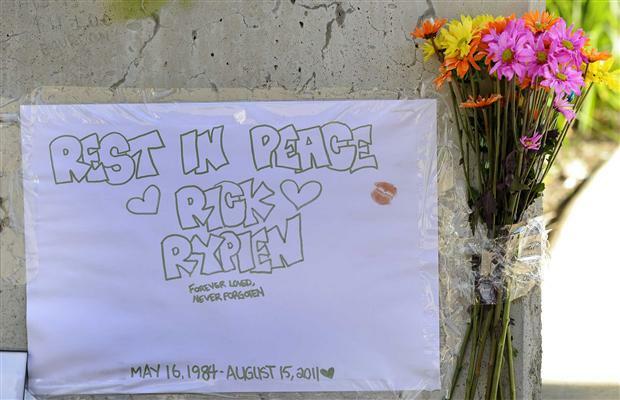 A memorial was set up at the Rogers Centre and pictures have been posted throughout the day. zamboni is always one stride ahead of him." 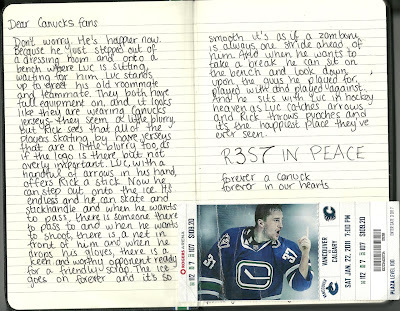 R.I.P., Rick Rypien, and we send our condolences to his family, friends and fellow fans. Below are some other photos.